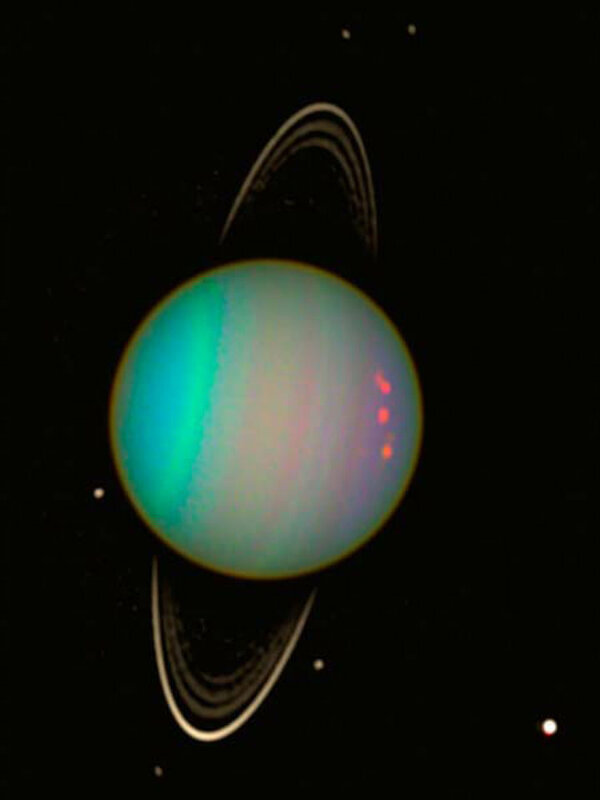 Raumfahrt+Astronomie-Blog von CENAP - Blog: Astronomie - Why Is Uranus on Its Side? Incredible Simulations Could Solve the Mystery. Astronomie - Citizen scientists discover strange new world that pro astronomers missed The newfound exoplanet is unlike anything in our solar system. Astronomie - Why Is Uranus on Its Side? Incredible Simulations Could Solve the Mystery. Astronomie - Bevy of mysterious fast radio bursts spotted by Canadian telescope B﻿ounty includes second known example of a repeating burst. A frame from a high-resolution simulation of what could have happened when the planet Uranus was hit by another large celestial object. "It's almost like having a brand-new telescope in the way that it reveals all sorts of new details and exciting topics that we could never study before," Jacob Kegerreis, a doctoral student at Durham University in the U.K., wrote to Space.com in an email. He presented the simulations for a giant impact with Uranus last month at the annual conference of the American Geophysical Union. Scientists are looking for an impact at the system because Uranus is tilted strangely on its side, with all its moons following at the same steep angle. Kegerreis is part of a project using a technique called smoothed particle hydrodynamics, a specialized technique that allows for better representation of fluids and gases in simulations. 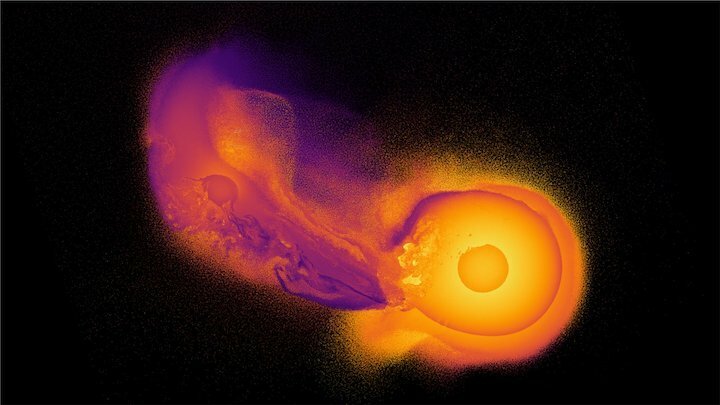 He and his colleagues used the approach to simulate what would happen in a wide range of Uranus collision scenarios. Using the simulations, the team could evaluate the different results given original objects of different sizes colliding at different speeds and angles; the simulations also show how much ejecta an impact creates and how well the planet's atmosphere endures the event. Because the approach can model 1,000 times more particles than previous simulations, Kegerreis said, they're more-accurate representations of how a specific collision would play out. But science aside, the simulations are also simply entrancing.